Last weekend, I finally decided on the large design for my wholecloth quilt challenge with Renee (read the initial post here). It took a while - 3 months, to be exact. But I didn't want to rush it. From the beginning, I wanted to include quilted words of some kind. I've become a bit obsessed with this concept and don't see that ending any time soon. 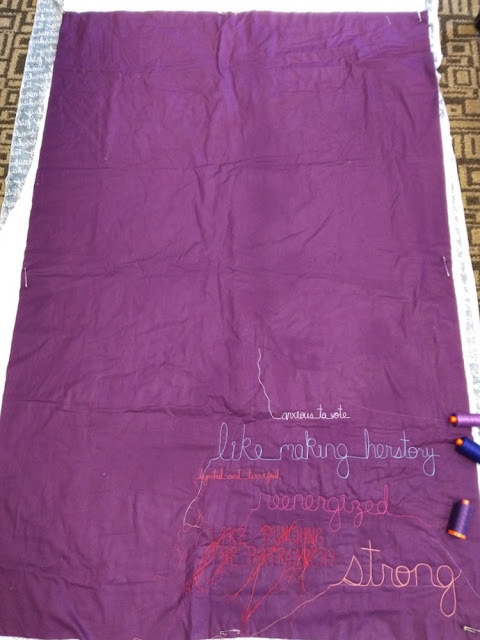 What could I write on a quilt that would be profound? That would really mean something to me? I shy away from "corny" quotes - though I do have quite a nice list going of quotes I'd like to write on a quilt. I suppose it was the excitement and anxiety I felt about the U.S. election last weekend that inspired me to use this quilt as a diary. I figured, whatever the result that Tuesday, I would be able to use the quilt to express my feelings and then carry on the concept through at least a month. The idea is that each day, I answer the question "Today, I feel..." (without writing those words). The quilt will not be *all* election related, though. This coming week is pretty tame for me, for example. No guild meeting, no quilt retreats, no emotional elections. When it came time to baste the quilt, in typical me fashion, I decided to "go big or go home." I had a little over a yard and a half of gorgeous purple Free Spirit plum solid from Pennington Quilt Works (indeed, I already bought yardage for this wholecloth quilt but decided not to make it *quite* so big - I'll use it for something else). It seemed like the perfect size. Basted and done. Wholecloth quilts are so easy to start! So, I'll fill in how I feel by week, starting at the bottom. By the time I've written 7 phrases for that week, I quilt-doodle around them to create a kind of speech bubble. I decided to use 50 weight #4225 Aurifil purple thread because it blends with the solid perfectly. You can see there's a texture but only notice the actual details up close. I plan to show more of those details virtually as time goes on. This quilt will hang in my special exhibition at the Quilt & Sewing Fest of NJ in March, and the best part is that it will be done by the end of this year! 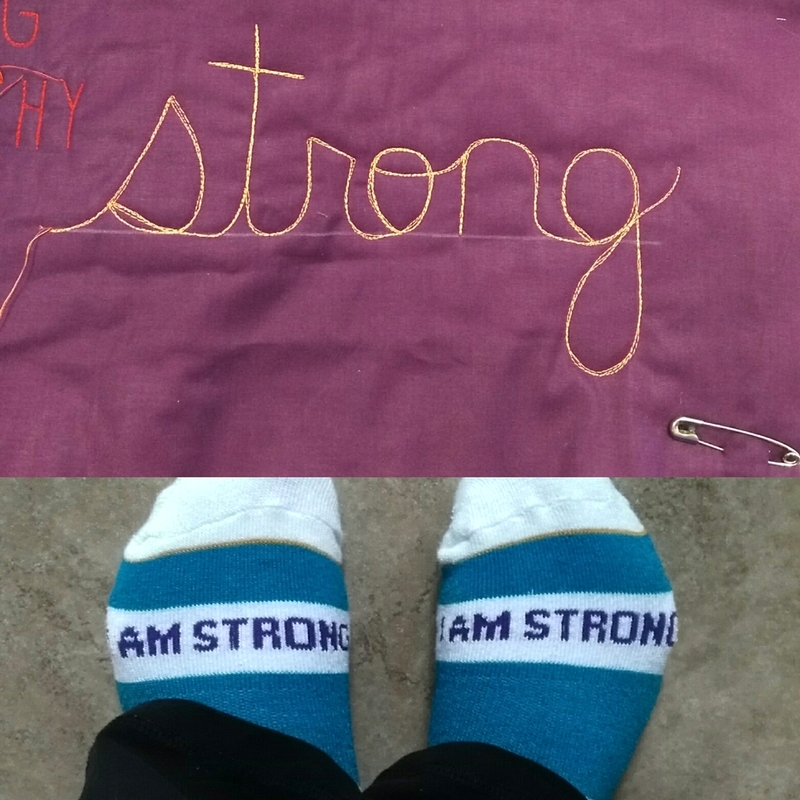 Thank you to Aurifil who generously sponsored many of the threads I'm using (40 and 28 weight). 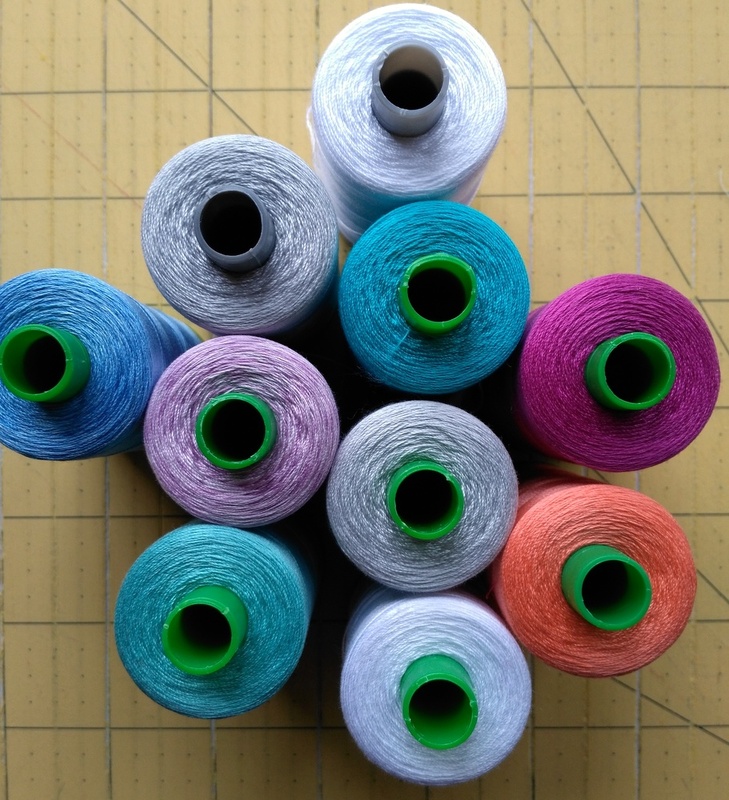 I have a post coming about the wonders I discovered using thicker threads for the first time (I usually stick to tried and true 50 weight for quilting). Finally, I plan to write a post about each week about my progress. This week was one of the most emotional weeks of my life, and that's not a stretch. I was wracked with excitement and pain over the election, which felt extremely personal. 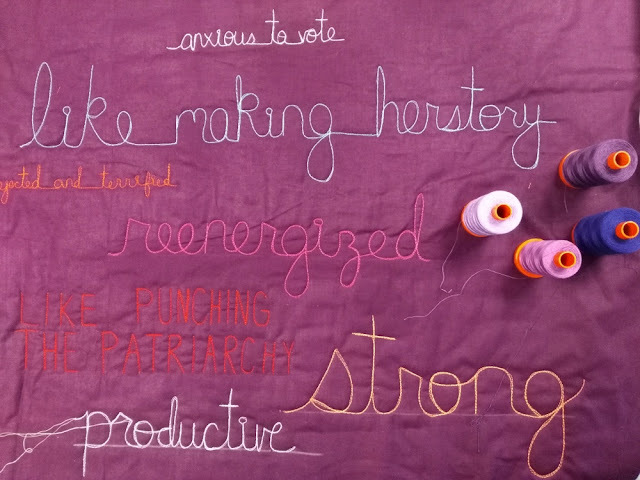 If you'd like to read more of an explanation, feel free to visit the #todayifeelquilt hashtag (which you can click on even without using Instagram) and read the individual captions. It was comforting to know that I wasn't the only one feeling this way. The Instagram and online community once again came together. 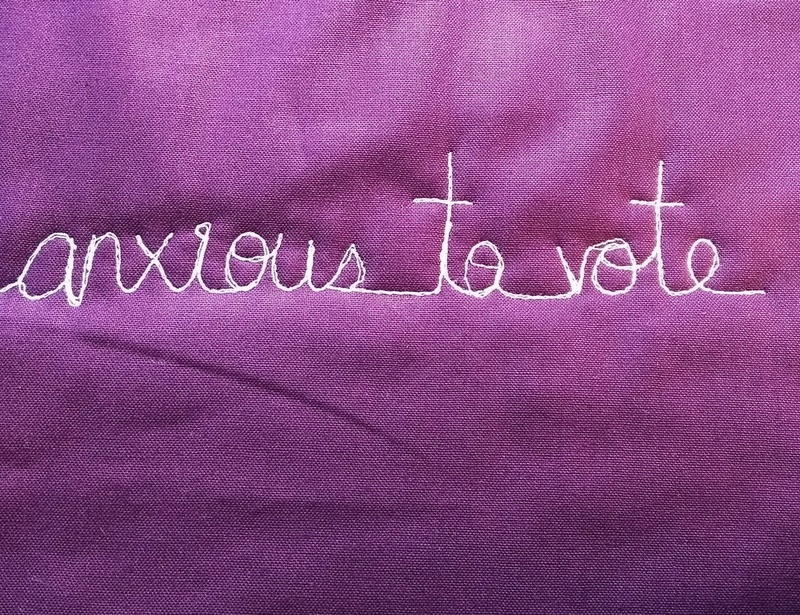 Plus, once I quilted in the words, I was more or less able to move on with my day. One more thing - I understand that this election and its results are extremely contested and divisive, and I'm in no way looking to change your mind or lose you as a friend if you disagree with me. I'm also not looking to start any arguments. 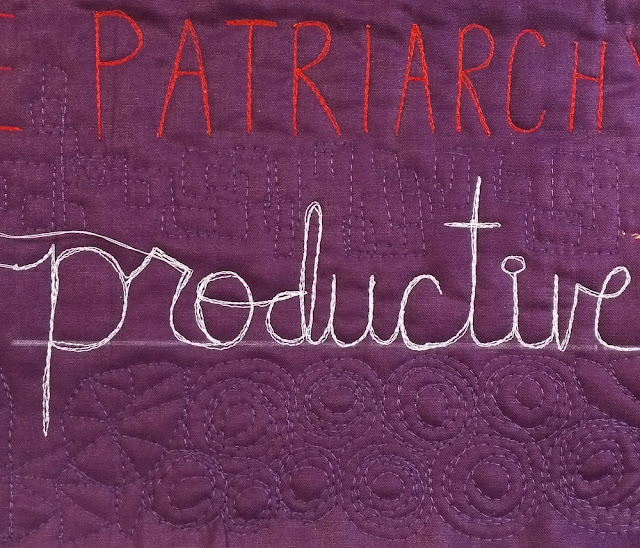 This quilt, though, has become yet another reminder to me of how therapeutic and cathartic art can be. I look forward to hearing about your process using the thicker threads - aren't they fun?!?! And what a great way to channel your energy. Well how cool is that! I have plans to start my first wholecloth quilt very soon as well. 'Hoping that it won't be as difficult as I'm anticipating it to be. IS there a current link party for the wholecloths? We can keep up with each others' progress in blogland. The election, well, I would think that most people do not choose their friends based on political viewpoints. At least, I do not. You will always be a friend whom I am proud to know. Hi Sandi - thanks for your support! I'm excited to see where it goes. Oh, I like how you're encapsulating each week with its own quilting - neat idea, Jess! I LOVE this quilt. You done good, Jess. Thank you, Summer! I hope that each week will bring something new to the entirety of the quilt.